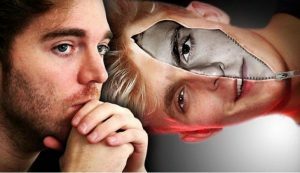 Shane Dawson is distraught in front of a conjoined image of Jake and Logan Paul. Dawson became emotionally invested in his research over the controversy of the Paul brothers. Despite the internet’s dislike for Social Media influencer Jake Paul, Shane Dawson produces an eight-part investigative series. His fascination with the fall of Jake Paul and the mental disorder of sociopathic tendencies collided to form the ultimate collab. Shane Dawson, known as the “King of YouTube” on social media, has accumulated over 200 million views over the course of his 12 most recent videos with three controversial creators— Tana Mongeau, Jeffree Star and Jake Paul. His work is one of the most groundbreaking pieces seen in YouTube history. His most recent creation is an entertainment-based documentary focused on controversial title, Jake Paul. 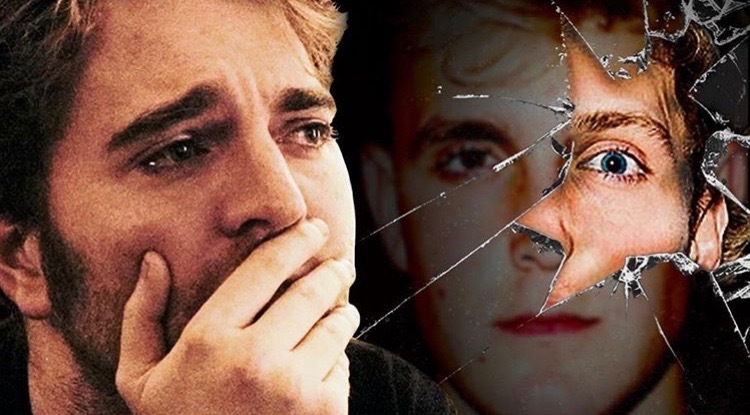 After doing extensive research about antisocial personality disorder, Dawson set the ultimate purpose of his series to answer one chilling question: Is Jake Paul is a sociopath? Dawson has released eight episodes, not collaborating with Paul until episode five. The first several episodes prepared us for his investigation, and they still contained Dawson’s touch of light hearted humor. However, episode two, “The Dark Side of Jake Paul” included a sit down interview with therapist Kati Morton to discuss sociopathic tendencies, such as lacking any emotion, empathy and being a manipulative mastermind. Dawson’s horroresque editing style with suspenseful music and creeping images sparked backlash from his audience, although in my opinion his editing was the best aspect of the video that made it entertaining and captivating. Despite the hate he was receiving, Dawson defended his case and continued to post the series. Viewers wondered if Dawson’s eight-part series would serve to humanize Paul for an upswing story, or expose him as a corrupt sociopath. Episode six, “The Secrets of Jake Paul,” consists of Dawson visiting the Team 10 House in order to get to know Paul and see how he approaches life off camera. The Team 10 House is where Paul alongside a group of other online creaters and youtube artists live and spend most of their days. After observing Paul and his interactions with his friends and his girlfriend Erika Costell, therapist Morton conjectures that he is a good, decent person in real life and most likely not a sociopath. As the series progresses, Paul has been represented less as an emotionless, power-hungry YouTuber, and more as a person who cares about people and wants to be accepted. Since this is happening in the YouTube world, there’s no way of telling if any moments are artificial or dramaticized to induce strong reactions from the audience. But with Dawson’s honest reputation, we can expect a genuine report of what he believes to be the truth. Shane Dawson and Alissa Violet meeting for the first time to discuss her turbulent past with Jake Paul. Dawson’s investigation uncovered the truth about her involvement in the fall of Jake Paul. 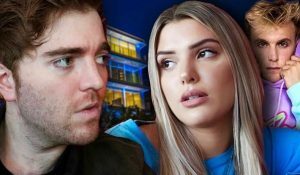 More tea is spilled in episode seven, “The Ex Girlfriend of Jake Paul,” when Dawson brings his investigation to the Clout House — another mansion made up of a group of YouTubers and influencers — in which he interviews former Team 10 member, Alissa Violet. After her turbulent break up with Paul that sparked a massive amount of drama on the internet, Dawson had many questions along with the ex couples’ collective millions of viewers. Violet confesses that throughout their past relationship Paul treated her with complete disregard for her feelings, making him seem downright sociopathic. Her intentions of the video are to tell her side of the story, move on with her life and leave with a valuable message for the audience. “He’s not a physical abuser but it’s mentally and emotionally 100 percent… If you’re in a mentally, emotionally or even physically abusive relationship it’s okay to tell someone and get past it. Because I got past it,” Violet said. Although Violet was victimized in episode seven, the finale of the series, “Inside The Mind of Jake Paul,” reverses our sympathy toward Paul, as he pours his heart out to Dawson. After opening up his emotions, owning up to his actions, and telling his side of the story, he provided Dawson with everything he needed to conclude his series. Although people will most likely continue to hate Paul, he got an opportunity to reveal his true self and show the world his perspective. My overall rating: full cup of tea. Imagine getting bated this hard by two internet shmucks. Youtube is getting worse and worse because people like Shane Dawson create content that just feeds the cycle. Granted he is very successful, people who watched this docuseries got baited into a wishy-washy goose chase. Jake and Logan Paul are idiots. Their content is trash and they are trash people. Its all marketing aimed towards the 12-18 age group of girls who eat up both Jake and Shane’s content. Seeing as literally hours after the video was posted hundreds of channels debunked Shane’s stupid video about Jake being a sociopath. Shane Dawson’s career is in full swing after his eight-part series based around controversial creator, Jake Paul, exploded on the internet. YouTube star, Shane Dawson has revolutionized his content with a new documentary like series that everybody seems to be talking about. 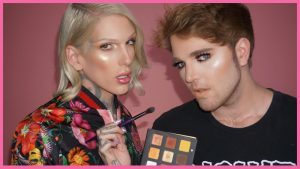 Shane Dawson and Jeffree Star posing for a thumbnail for Star’s YouTube video. Star got together with Dawson to do his makeup and Dawson later did a documentary on Star’s controversial past. Ever since Dawson created his first documentary about the widely talked about disaster known as Tanacon, he has seen an insane amount of success. Whether that be his subscriber count, supporters or money, his career has taken off. After his episodes detailing the events detailing Tanacon, he soon went on to create another documentary about the infamous and controversial makeup artist, Jeffree Star. This documentary took YouTube by storm, shedding a positive light on Star, something he hadn’t seen before, and helping Dawson gain large amounts of recognition for his work. But neither of those documentaries could top the latest one that he most recently released. A documentary titled “The Mind of Jake Paul,” based around the famous viner and self-proclaimed “hype beast,” Jake Paul. With what seems like the whole internet tuned in to see what will come out of this, Dawson’s eight part series has sparked a huge conversation online. With a therapist by his side, Dawson dives right in to see if the rumors that Paul is a sociopath are true. Dawson goes the extra mile to provide an unbiased opinion along with solid facts. He first interviews Nick Crompton, well-known for his infamous lyric, “England is my city” in Paul’s hit single, “It’s Everyday Bro.” Crompton reveals throughout the video why he stopped living with Paul and why other members have left as well. Dawson then goes on to interview Alissa Violet, Paul’s ex-girlfriend. Violet is a vital piece to this documentary because she accused Paul of psychological abuse. Dawson works to find out if the accusations are true, since he is trying to find out if Paul is a sociopath. With all eight parts released, Dawson starts with his own research into what Paul is all about (Part 1), then his dark secrets (Part 2), his family (Part 3), enemies (Part 4), day to day life (Part 5), his secrets (Part 6), an interview with his ex-girlfriend (Part 7) and the finale (part 8). Besides recognition, Dawson has made an insane amount of profit off of this documentary, estimating around $441.25K. Along with money he has also gone from 17.8 million subscribers to currently 19.2 million since the series has finished. As expected, Dawson’s series has sparked large controversy among the internet. Part 3 of his documentary received lots of backlash for being “insensitive” and “portraying people with multiple personality disorder as bad people.” People who claimed this said it’s due to the way Dawson edited the video, with creepy music and it all around having a very mysterious vibe. *Tea is an internet term regarding drama or gossip. On the other hand, some people online are loving the series, talking about how the documentary is bringing a positive light to Paul and that he deserves it. Whether you like the documentary or not, Dawson has left his mark on YouTube forever with this legendary series. From all the filming and editing, to the intense interviews and powering through the backlash from the internet, a great documentary has come out of this that has changed YouTube content. In my eyes, “The Mind of Jake Paul” deserves a solid 10/10, and I would definitely watch it again.